Every once in a while pop culture encounters a rip in its continuum. The latest breach comes from one of most effervescent entertainers of all time, Beyoncé Giselle Knowles Carter, as the first Black female to headline one of the most prolific festivals since the iconic Woodstock. 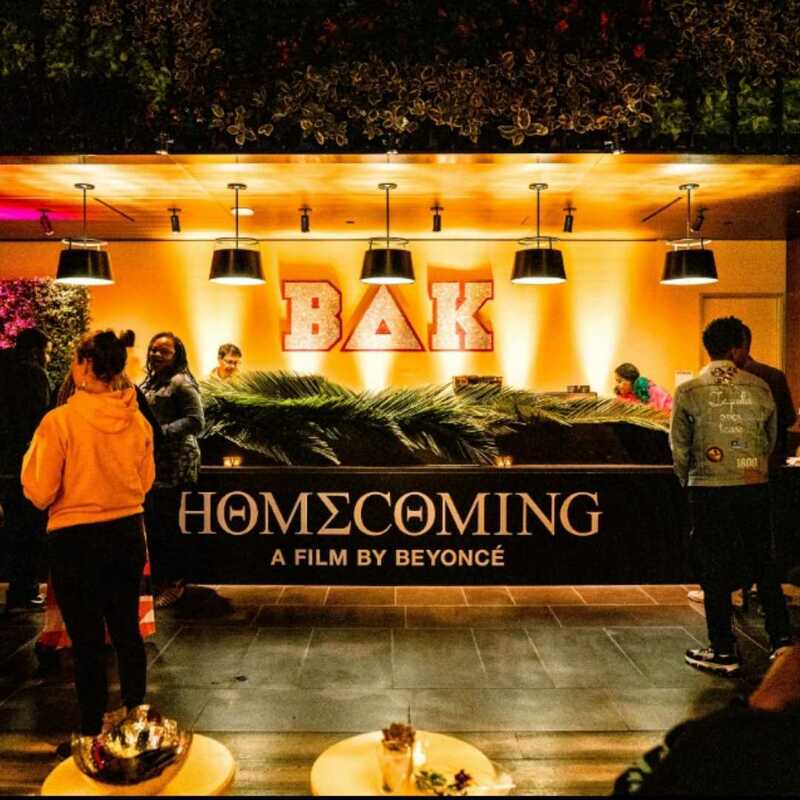 Introspective yet intimate, Homecoming is positioned to be one of the most immersive concert series in the history of music and streaming services. 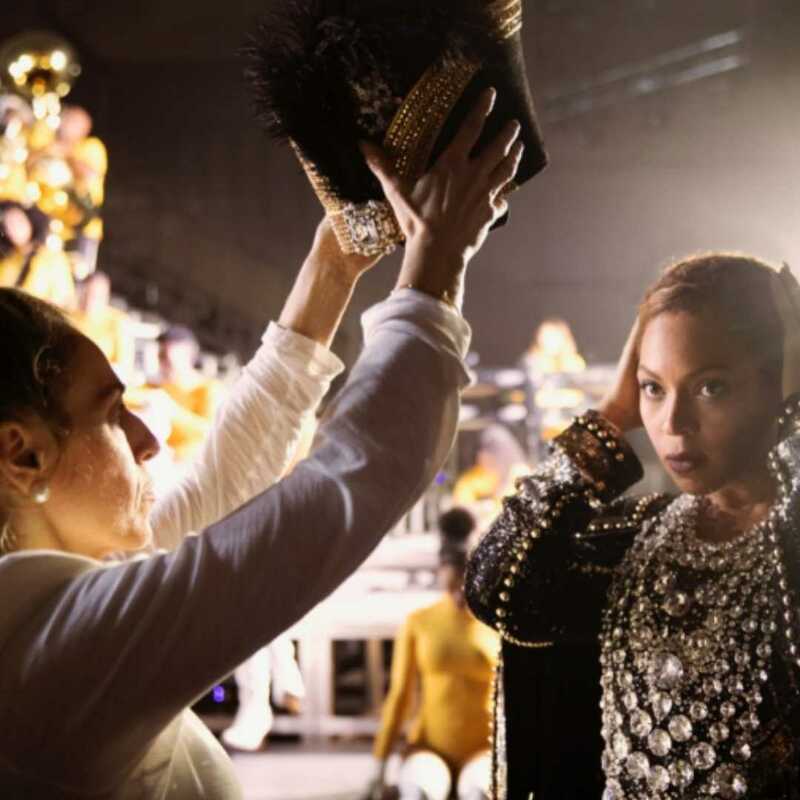 Beyoncé, the Director and Executive Producer of the film, creates a visually captivating story from the beginning to end. The documentary answers a plethora of questions, at which the infamous Beyhive has had about the historical moment. 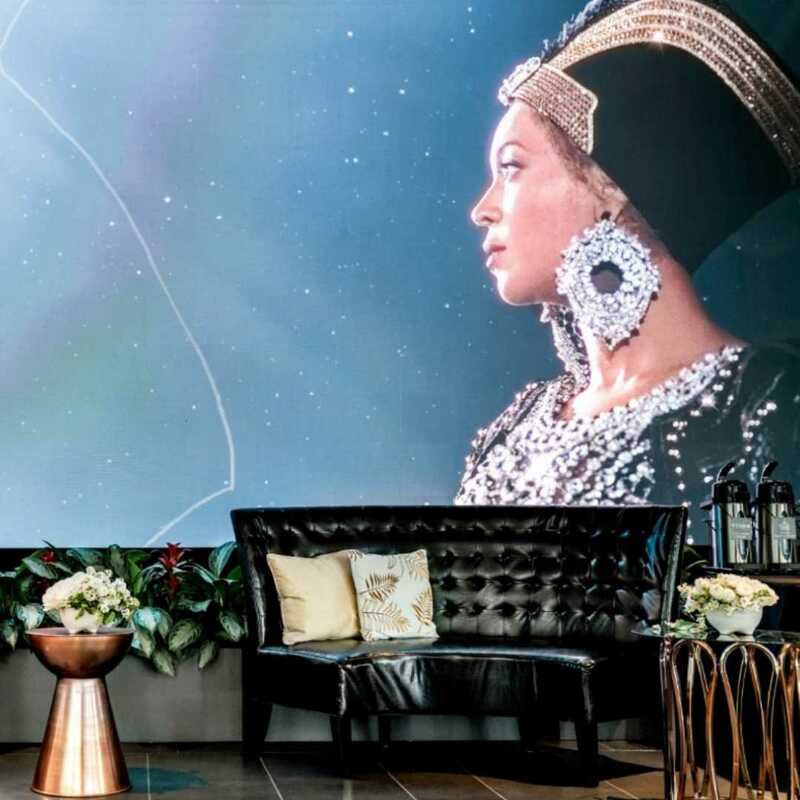 Having family members as graduates of some of the prominent HBCU (historically black colleges and universities), Beyoncé was able to tap into the most celebrated moments of their collegiate life. 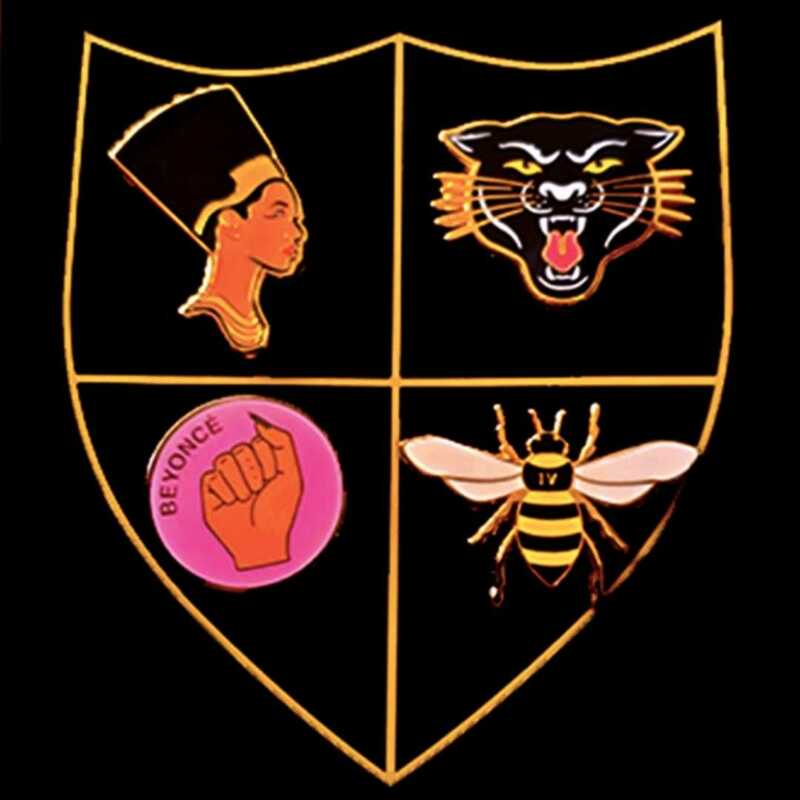 Her full show not only highlighted the history of these schools but also their social networks and fraternal organizations; transforming the stage into one of the most dynamic Black Southern spaces of cultural legacy and pride. Much of it was enunciated with their boot dancing, a traditional dance style for HBCU called J-Setting, in between transitions. These dance formations visually anchored the performance. Contortionists contributed an urban Cirque du Soleil vibe to the display which can be more accurately described as an infused gumbo of Chicago the play, Moulin Rouge and the off Broadway play Stomp. To date, the pyramid stage has been persevered onsite at this year’s Coachella as an art installation. This entry was posted in Design and tagged #1, 2018, 2018 Coachella Valley Music and Arts Festival, 2019, 360, 360 Magazine, Academy Awards, African diaspora, Alejandra Villagra, alpha kappa alpha, alpha phi alpha, apple music, Ariana Grande, art, before I let go, before I let go beyonce, Behind the Scenes, beychella, Beyonce, beyonce university, black colleges, black filmmakers, black fraternity, black schools, black sorority, black southern, black universities, blue ivy, bounce back, Broadway play, BTS, bugaboo, Celebrity, Church, Ciara, cinema, cirque du soleil, Coachella, Coachella 2018, dancers, design, Destiny's Child, diaspora, Disney, Documentary, dreamgirls, drunk in love, entertainment, fashion, film, filmmakers, GRAMMY Award-winner, Halo, Hampton university, HBCU, hollywood, homecoming, Houston, Howard University, intimate, iTunes, j balvin, jay z, John meyer, Jordan Peele, kelly Rowland, la, Lion King, Los Angeles, Madonna, Mariah Carey, Matthew Knowles, maze, Michelle Williams, mother, Moulin Rouge, movie, music festival, Mustafa, nala, Netflix, Nicki Minaj, Off Broadway, Oprah, Oscars, palm springs, pew report, pink panther, pop culture, Pregnancy, prince the artist, private, producer, pyramid, rihanna, say my name, scar, Serena Williams, simba, singer, sir and rumi, solange Knowles, songwriter, southern blacks, stella Dugall, stepping, Stomp, streaming services, style, Tara McDonough, tennis, Texas, the south, the360mag, tidal, tina knowles, tv, Vaughn Lowery, vogue, wife, xo on April 17, 2019 by wp360mag. Can Stress Help Your Workout? You don’t need this article to tell you the benefits of exercise on your stress levels (but I will reinforce them anyway). Physical activity increases endorphin production in the body. Those feel-good pain-relieving hormones. And it’s good for your brain. Physical activity increases blood flow, which increases our cognitive capacity and speed. So, we think better. Focusing on exercise means we are not focusing on our stress, so there is a fantastic mental break from stress too, plus the positive meditative effect of focusing on the exercise, in the moment, as we do it. Your self-confidence likely gets a boost with the earned results of a better, healthier body. But while exercise helps stress, can stress help you exercise? Your experience is probably going to tell you “no.” Ever been too tired to go to the gym and skip it? Ever prioritize more work or responsibility over your workout? Or be so fatigued that you’d rather zone out in front of the TV or phone, maybe eat a snack to feel better instead? Of course, you have. In fact, it is more likely that stress actually hurts your workout. Besides the decreased motivation to go, there is the real fatigue you feel even if you attend, decreasing the quality of your workout—especially if you are not recovering well with adequate sleep. There isn’t one major organ or process in the body that isn’t enhanced by sleep, or impaired without enough of it. (Get at least 8 hours to help both regulate your stress and improve your workouts.) Stress can cause muscle tension, increasing risk of injury and slowing tissue repair—which leads to longer recovery times. Stress makes it harder to lose weight and can increase food cravings. Those extra pounds don’t help us move well. But despite these facts, I can think there is one way that stress can help get you moving. It’s this: Notice how bad feeling stressed out feels. Rather than repeatedly numbing out, or working harder and longer in futile attempts to escape it (do you ever really catch up on everything? ), notice how you feel. It’s terrible. It’s unhealthy. It turns us into not-so-nice people, crabby and irritable with others. Our performance in everything declines. And our coping strategies of snacking, sleeping less, and sedentary “resting” just make it worse. And then realize that you have a choice. There is something you can do. It won’t feel good at first. You will be tired and sore and you might sweat a lot. But if you don’t want to be stressed, working out (or any physical activity) WILL help you. This isn’t my opinion. Its science. So, the question is, are you willing to choose some discomfort in service of decreasing your stress and getting healthier? Stress can motivate your workout if you realize that working out is one of the most effective ways to reduce stress, and then engage exercise with your whole heart and mind to beat it. 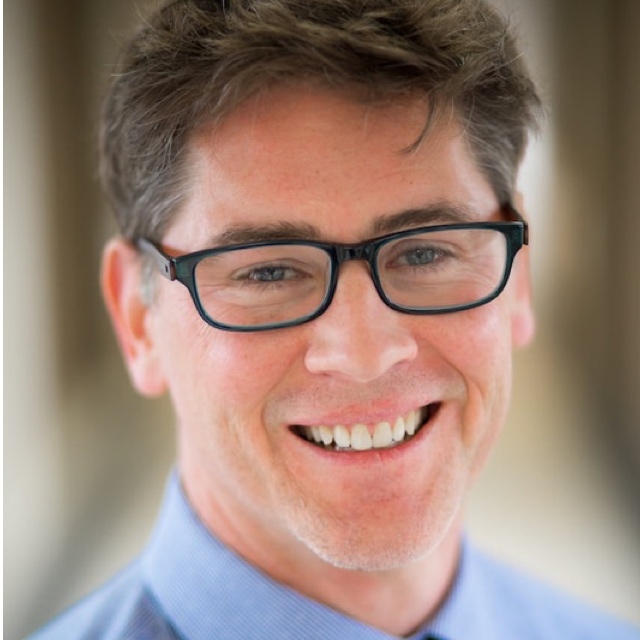 Dr. Eddie O’Connor is a Clinical and Sport Psychologist at Mary Free Bed Sports Rehabilitation in Grand Rapids, MI. He is a Fellow and Certified Mental Performance Consultant through the Association forApplied Sport Psychology—the largest organization for sport psychology consultants and professionals. This entry was posted in Health and tagged 360, 360 Magazine, Association forApplied Sport Psychology, Certified Mental Performance Consultant, clinical psychologist, Eddie O’Connor, exercise, Grand Rapids, gym, Mary Free Bed Sports Rehabilitation, mi, pain-relieving hormones, phone, physical activity, Sport Psychologist, stress, stress levels, Tara McDonough, tv, Vaughn Lowery, weight loss, workout on April 16, 2019 by wp360mag. CBDistillery was founded in 2015 by two Colorado natives. 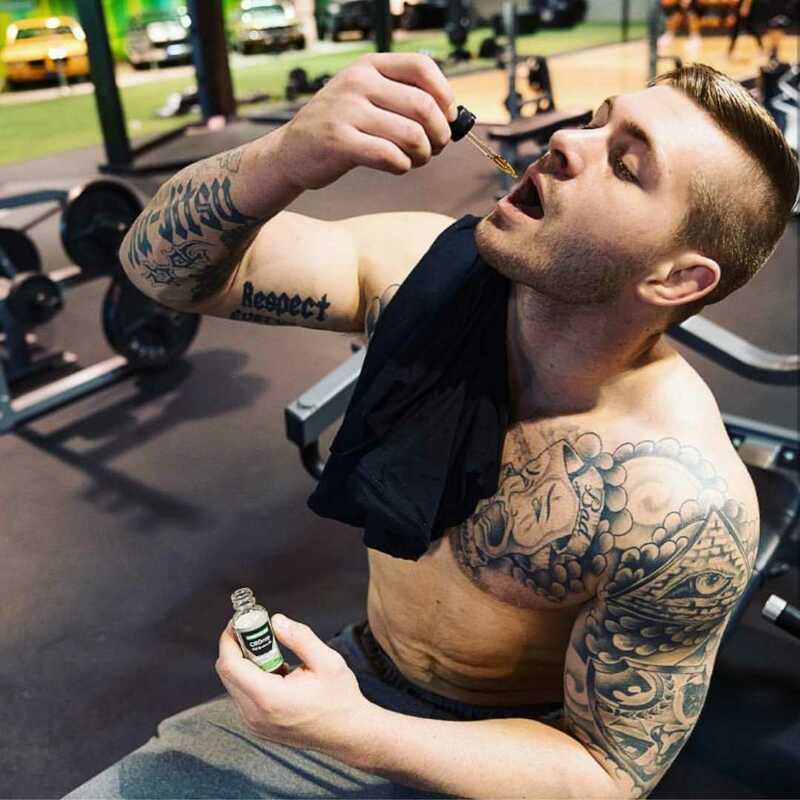 The legacy brand of Balanced Health Botanicals (BHB), CBDistillery was born with the mission to bring the highest quality, fairly priced CBD to the masses. CBDistillery is now one of the nations’ largest and fastest growing retailers of hemp-derived CBD products in the world, reporting $41.3 million for 2018 (450% growth YoY). Today, BHB owns and operated some of the largest manufacturing operations and brands, including CBDistillery, in the hemp-derived CBD market. Through vertical integration, BHB is uniquely positioned to control the entire process from seed-to-sale. BHB is known for its high-quality consumer-focused products and best-in-class manufacturing processes. In a recent segment, co-hosts and lifestyle expert Lifestyle expert, Milly Almodovar gave viewers a breakdown of CBD and the different products available in the market. This entry was posted in Uncategorized and tagged 360 Magazine, Balanced Health Botanicals, bhb, Cannabis, CBD, cbd Distillery, colorado, controversy, fitness, GMA, good morning America, health, high quality, legal, marijuana, medical treatment, medicinal, Milly Almodovar, THC, tv, Vaughn Lowery, weed on April 12, 2019 by wp360mag. Behling was born in Columbus, OH but raised in Columbus, IN. Growing up, he played football, volleyball and ran track & field. Before pursuing college for track, Behling’s mother pushed him to try his hand at modeling. Flash forward one year, the biracial newcomer shot for notable brands like Nike, Finish Line and White Castle. 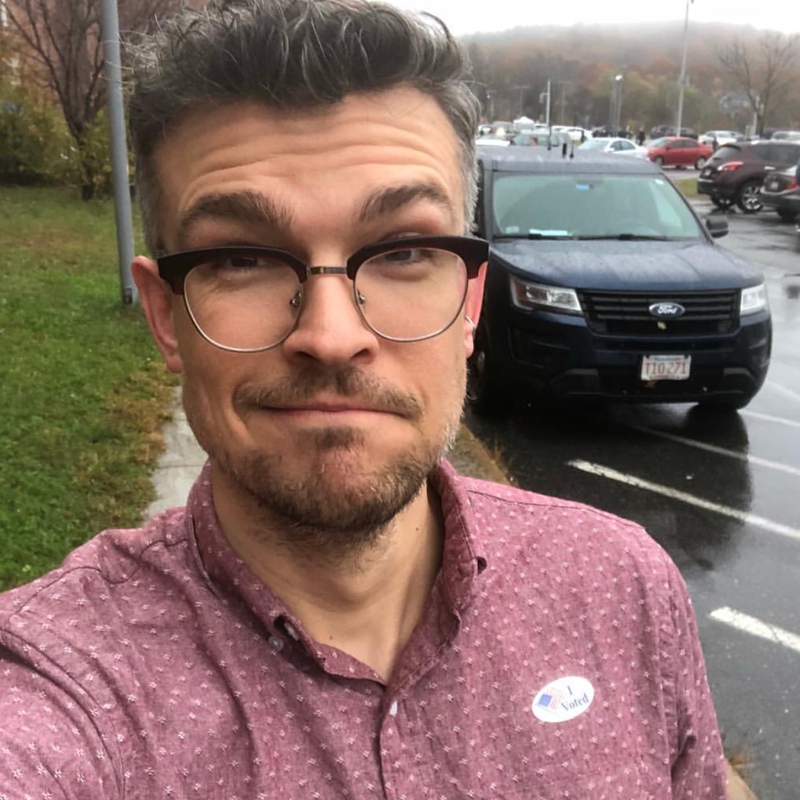 Discovering a passion for comedic shorts via social media, Behling paved a career path that created an escape from negativity and depression. His personal life in a funk, acting molded that release and in return, made himself and others feel better. A bold move to LA quickly proceeded and transformed his life. What do you think been your favorite part of shooting All American? An outstanding cast. People-wise, we are a family that clicked from the beginning. There’s such a nice atmosphere including the production! Whether in the morning or night, I’m smiling going in. Being relatively new to working the industry, what is one thing you would work on more? To continue working even more and getting out on stage. Whether it means taking more classes and working as much I can to get even more comfortable doing my job. Before going into work. Whenever you get to set, you make something fun. The challenging part is when you get home at 3AM after a sixteen hour day and you have to prep for the next day. During the past 8 months, I didn’t sleep but it’s worth it. Being on stage, I’m still new and have a lot to learn. There are still moments where I felt like I could have done something better but it’s this feeling of “unsure” where I hesitate. Jordan is a cocky, confused, angsty high schooler who is the Beverly Hills High School quarterback. He’s dealing with some major identity issues, especially when Spencer comes to town and sees how his father and him connect – I think he’s got a really good heart and a lot of love for his sister and mom, but wants to connect with his Dad and fill his shoes. He’s slightly a jock with underlying actions and a lot of pain I have to hit while on set. Jordan’s a mixed kid who’s struggling to find himself but vicariously living through his dad. We’re both mixed so there’s a strong connection. What advice to you have for minorities and kids of color breaking into the industry? Right now we have an advantage – use this time now to get your training, get headshots and get whatever you need to get into the room. What’s the number one thing you could do before you get in? Ask yourself why you want to be in the industry. Do you know why you want to get into the industry for the right reasons? It’s because you want to make a change and love the craft. 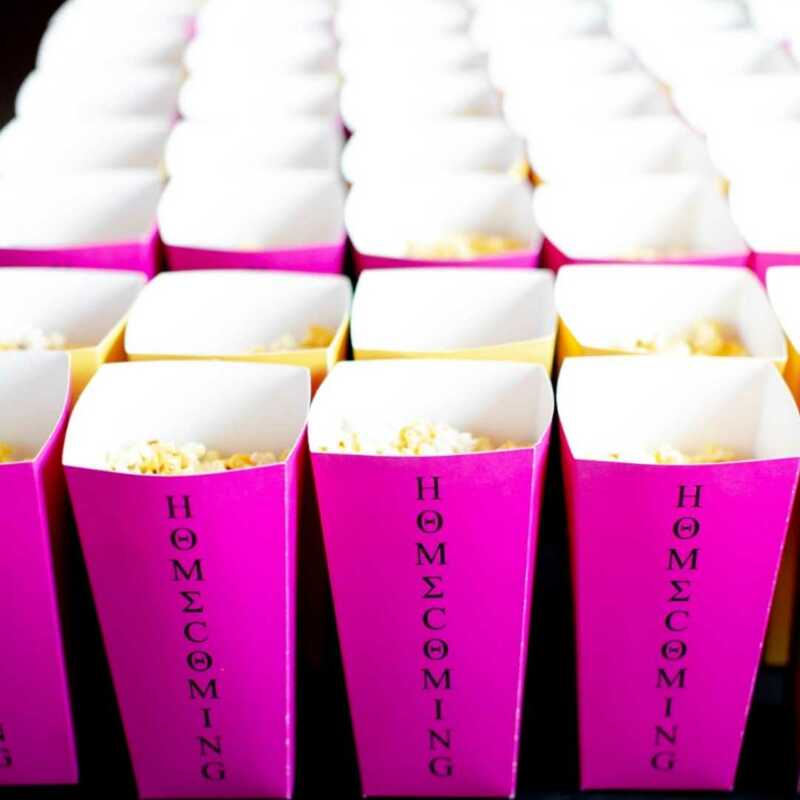 You love entertainment and make a positive change in somebody’s life. One you get into the room, and you perform it’s out of your control. The door is going to open at some point. Stay positive and don’t get discouraged. This entry was posted in Uncategorized and tagged 360 Magazine, Actor, All American, biracial, Celebrity, charmed, columbus, culture, culture magazine, cw, cw tv, cwtv, edgy fashion magazine, entertainment, finish line, football, Global Society, Indiana, Krishan Narsinghani, la, Los Angeles, male actor, male model, Michael Behling, Michael Evans Behling, Nike, pop culture, Riverdale, show, style, teen, tv, Vaughn Lowery, White Castle on March 12, 2019 by wp360mag. The Women’s Media Center (WMC) today released its 2019 report on the status of women in U.S. media, which shows that despite some gains, men still dominate in every part of news, entertainment and digital media. “The Status of Women in the U.S. Media 2019” is comprised of 94 studies, including original research by WMC and aggregated research from academia, industry and professional groups, labor unions, media watchdogs, newsrooms and other sources. The report includes several original WMC studies, including “Divided 2019: The Media Gender Gap,” an assessment of where women stand as media writers, reporters, correspondents and anchors in the major news media platforms, including the prime-time broadcast news programs, print publications, wire services and online news sites. Across all media platforms, men receive 63 percent of bylines and credits; women receive only 37 percent. The report is inclusive and also features WMC’s “The Status of Women of Color in the U.S. News Media 2018,” which offers a rare look at where women journalists of color are — and aren’t — in legacy print, radio, TV, and digital news. In an expanded section on tech, social media, gaming and engineering, “Status 2019” also spotlights the growing threat online to women in media and the perils of failing to protect free and safe speech. The American Society of News Editors’ latest tally found that women comprised 41.7 percent and people of color 22.6 percent of the overall workforce in those responding newsrooms. 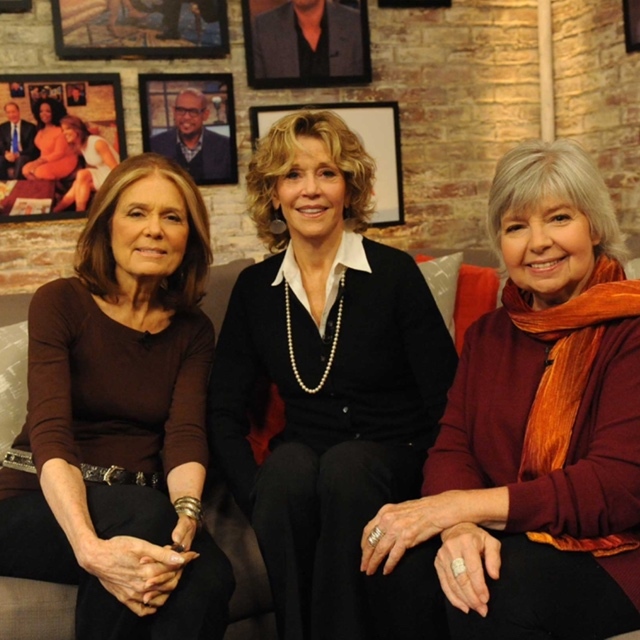 The Women’s Media Center, founded by Jane Fonda, Robin Morgan, and Gloria Steinem, is an inclusive and feminist organization that works to make women visible and powerful in the media. We do so by promoting women as decision-makers and as subjects in media; training women to be effective in media; researching and exposing sexism and racism in media; and creating original online and on-air journalism. This entry was posted in Uncategorized and tagged 360, 360 Magazine, Celebrity, engineering, entertainment, film, gaming, Gloria Steinem, journalism, Julie Burton, Maya Harris, media, news, online streaming, Pat Mitchell, print, radio, Robin Morgan, social media, Soraya Chemaly, Tara McDonough, tech, The Status of Women in the U.S. Media 2019, tv, Vaughn Lowery, Women’s Media Center on February 21, 2019 by wp360mag. Rising star, Lilimar, is the embodiment of class and style. She is a young, energetic and gorgeous Latina – born in Venezuela to Cuban parents – and is the accumulation of everything Young Hollywood strives to be. She is best known for her series regular role on the Nickelodeon series “Bella & The Bulldogs,” but can now be seen starring in the networks popular new series: “Knight Squad,” which returns for season 2 in early 2019. Lilimar stars as the lead role of “Sage” a very interesting witch, that is full or fire and fury (but in a good way!). “Knight Squad is set at a magical school for knights in training, where two mismatched students form an unlikely alliance to protect each other’s secret and pursue their dreams,” according to a Nickelodeon show description. Off-screen, Lilimar has used her strong social presence to set empowering, self-love social initiatives like #FreshFaceFriday and #StarGazeSaturday; with the goal of lifting up her followers and encouraging them to embrace their unique beauty and individuality. The goal is to encourage young people to break boundaries and not be afraid to show the world who they really are beneath the make-up, the clothes, and fake images we try to portray online. We live in a world where we’re forcing ourselves to achieve perfection through photos instead of embracing our true natural beautiful selves. Connecting directly with her fans on these topics, Lilimar discusses issues that teens think about today like peer pressure, family, owning your individual power, societal norms in the modern age. Her messages of truth and self-love are the reason why she’s poised to be America’s newest sweetheart. This entry was posted in Design and tagged 360, 360 Magazine, actress, bella & the Bulldogs, Celebrity, Cuba, cuban, culture, edgy, entertainment, film, generation z, hispanic, ingenue, INSTAGRAM, knight squad, Latin, Latina, leading actor, lifestyle, lilimar, millennials, Nickelodeon, sage, social media, starlit, teen, tv, Twitter, Vaughn Lowery, venezuela, Venezuelan, youth on January 8, 2019 by wp360mag. 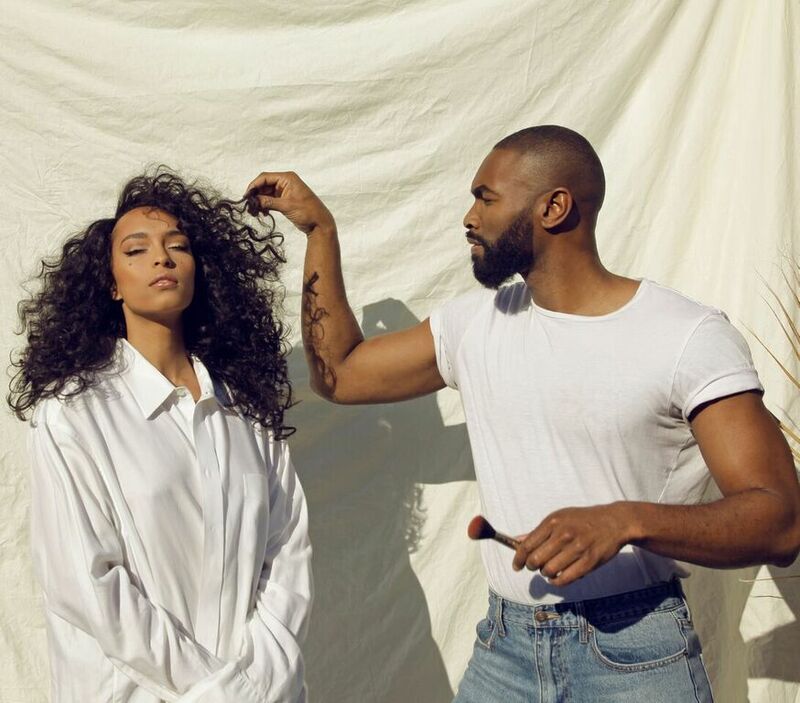 LA-based Photographer/Creative Director Tyren Redd has made it a goal to change the world for the better with one image at a time. He’s become notorious for producing beauty and fashion images with a new age digital flare. He is noted for discovering supermodels Riley Montana (Givenchy, Tom Ford, Vogue) and Broderick Hunter (Essence Magazine, HBO’s Insecure). Furthermore, he has worked with some of the biggest names in entertainment and fashion and his work has been deemed exceptional by Fashion Photographer Cliff Watts and Lions Gate Film Director Bille Woodruff. 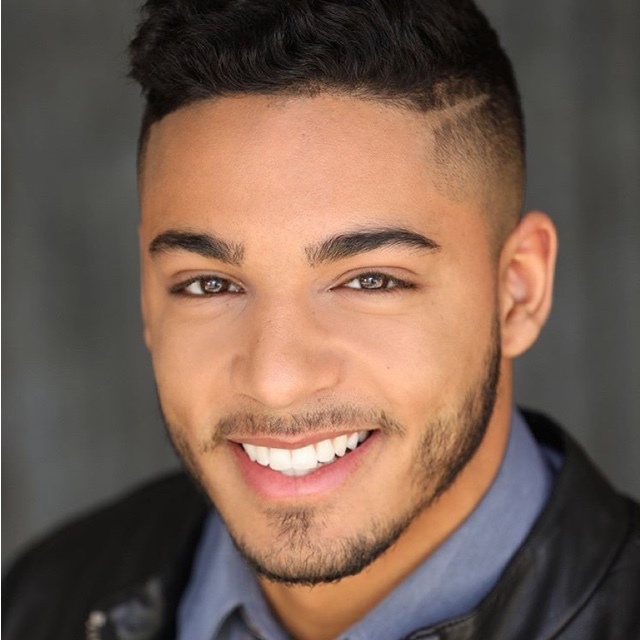 He is the man behind the image of some of today’s viable stars including Kendrick Sampson (Vampire Diaries, How to Get Away with Murder) and singer/songwriter Kesington Kross (Epic Records). As of late, he shot Brandy Norwood, Chloe X Halle (for Ivy Park), Angela Simmons, Lil Mama, Boris Kodjoe, Ronni Hawk, Sean Kingston and the All-American Rejects. His work has been published in major magazines like Vogue and 360. This entry was posted in Design and tagged 360, 360 Magazine, Actor, american beauty star, art, ashley graham, beauty, Broderick hunter, Celebrity, Christie Brinkley, design, docuseries, entertainment, fashion, Hair, lifetime, Makeup, Monique Sypkens, photographer, reality show, riley montana, sir John, supermodel, tv, tyren Redd, Vaughn Lowery, vogue magazine on December 31, 2018 by wp360mag. With an avid thirst for adventure and innate curiosity, wildlife biologist and explorer Pat Spain is leaving his lab to uncover answers to fascinating unsolved riddles, historic conundrums and mythic events in the new Travel Channel series “Legend Hunter.” Premiering Tuesday, January 8, 2019 at 10 p.m. ET/PT, the seven-episode series showcases Spain as he uses his scientific expertise and state-of-the-art technology to investigate infamous tales of murder, theft and unexplained events. He embarks on a hunt to recover a $20 million stolen Irish fortune, finds new evidence that could reveal the identity of Jack the Ripper and goes on a quest for a werewolf-like creature rumored to haunt the residents of Elkhorn, Wisconsin. As the great nephew of Charles Fort – the “Prophet of the Unexplained” – Spain carries on the family legacy by questioning mainstream science and investigating things that science often writes off as impossible. Now, with “Legend Hunter,” he will consider unusual explanations of bizarre phenomena to crack open some of history’s most mind-boggling mysteries and crimes. In the series premiere, Spain reopens the infamous Lizzie Borden murder case to find out who really took an ax to her father and stepmother. He gains exclusive access to Lizzie’s home, belongings and previously sealed family documents. Spain starts his investigation from scratch, as though the crime happened yesterday. Then, using psychographic profiling and statistical theory, among other tools, he re-examines the original suspects. Spain reenacts what they supposedly were doing at the time of the murders, their ‘alibis’ and whether these accounts are actually plausible. Through his relentless digging, Spain unearths a surprising new suspect never before connected to the case! This entry was posted in Uncategorized and tagged 360 Magazine, art, Canada, Cape Town, charles fort, Chicago, China, culture magazine, Dallas, design, Discovery, edgy fashion magzine, food channel, Global Society, HBO, hulku, Indie Music, iTunes, Jakarta, Japan, Johanessburg, legend hunter, lizzie borden, London, Los Angeles, Melbourne, Miami, Milan, music, Netflix, Netherlands, New York, newmusic, Paris, pat spain, Prime Video, San Francisco, Sweden, Sydney, travel channel, tv, Vaughn Lowery on November 27, 2018 by wp360mag. It’s an exciting time for World Peas Peatos! 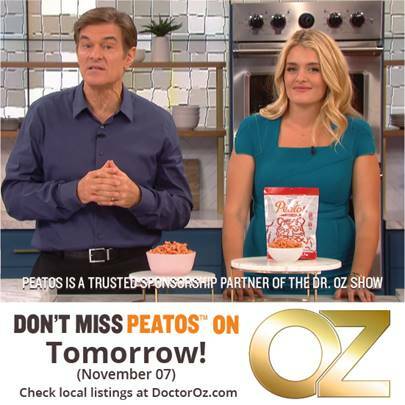 We will be on Dr. Oz tomorrow, Wed. Nov. 7. Since its launch in March 2018, Peatos has become one of the top-selling pea-based snacks and one of the fastest growing snacks in the produce section. Tune in to learn more about the meteoric rise of plant-based protein snacks and delicious alternatives in the produce section! Peatos are a plant protein-based crunchy, puffed snack made of pulses that has twice the protein (4 grams) and three times the fiber (3 grams) of Cheetos® per serving. Peatos also boasts clean, non-GMO ingredients, has no artificial flavors, no synthetic colors and no added MSG. Striking flavors include the popular Classic Cheese, Fiery Hot, Chili Cheese, and Masala. This entry was posted in Uncategorized and tagged 360 Magazine, Canada, Cape Town, cheetos, Chicago, China, chips, culture magazine, Dallas, doritos, Dr Oz, edgy fashion magazine, edgy fashion magzine, food, foods, fritos, Global Society, grocery, grocery store, healthy, Healthy food, healthy food alternative, Jakarta, Japan, Johanessburg, la, Lay's, London, Los Angeles, Masala, Melbourne, Miami, Milan, Netherlands, New York, news, non-GMO, nutrition, Paris, peatos, Ralphs, San Francisco, snack, snack food, snacks, Sweden, Sydney, tourism, tv, Vaughn Lowery, Whole Foods, world peas peatos on November 7, 2018 by wp360mag.